The Warriors are title contenders! No, this isn’t the regular season, it’s summer league, but the Warriors are royalty in July. They’ve been host to some legendary individual performances. They’ve won 14 straight games dating back to 2010. They’re the defending champions. 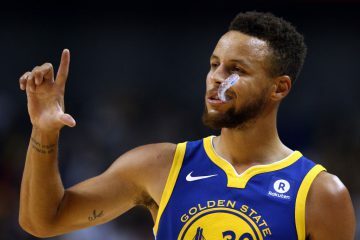 The Warriors are the San Antonio Spurs of the summer, hopefully one day transferring that level of success to the regular season. For now, we’ll have to settle for unproven rookies, questionable sophomores and a shiny, new head coach. 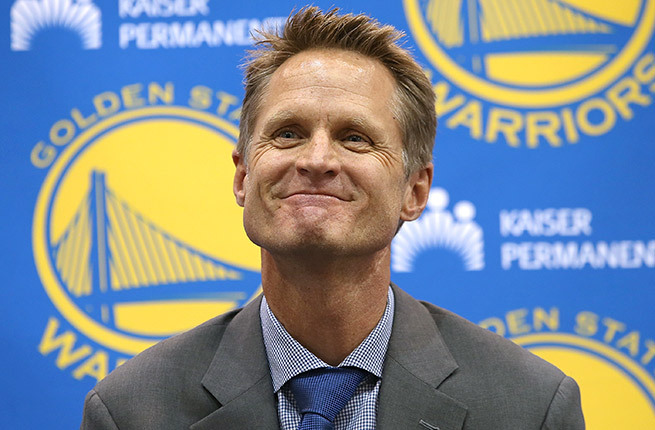 Mark Jackson is out, Steve Kerr and his All-Star caliber coaching staff is in. Kerr is coaching the summer league squad in hopes of getting a trial run of sorts for the actual thing. Admirable, considering his much publicized record of zero coaching experience on any level. 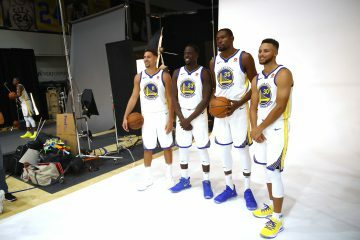 This summer, the Warriors have three players that have logged NBA minutes, none of which are the caliber of Draymond Green or even Kent Bazemore, the two leaders from last season’s squad. One of those players, Festus Ezeli, will not be playing due to inflammation in his right shin, an injury the organization doesn’t deem serious. Regarldess, with Ezeli missing the entirety of last season and backing up an already injury-riddle center in Andrew Bogut, his presence this summer league would at worst given fans (and the team) a sigh of relief heading in the season. While these games don’t count towards anything in any official standings, there are certain players and in this case, a coach, that you should watch for this summer league. There’s never a dull moment with this team. It may be odd to watch out for a coach, but it’s also odd to fire a coach after a 51-win season and two straight playoff appearances. Steve Kerr is the new captain of this ship, and he’ll get his first head coaching experience ever Friday night when he holds the clipboard for the Warriors summer league team. Kerr didn’t just fall into the team’s lap, Joe Lacob went after him. After an unsuccessful trek to make Stan Van Gundy the head coach, ownership quickly scheduled a meeting with Kerr and offered him a 5-year, $25 million deal. Van Gundy received control over personnel in Detroit, and would’ve essentially taken over Bob Myers’ job had he received the same position with the Warriors. You can’t blame Lacob for vehemently denying Van Gundy — an experienced on-court basketball mind with playoff experience — the role, given Myers’ strong performance as general manager up to this point. Van Gundy went and Kerr quickly stole the show in the Bay Area, ditching the Big Apple and longtime friend Phil Jackson for the opportunity to coach Stephen Curry, Klay Thompson (maybe) and a vastly superior roster. Summer league is the ultimate trial run for Kerr, who has never coached at this level. He’ll coach three players who hope to see the floor this season for the actual #FullSquad: Festus Ezeli, Nemanja Nedovic and Ognjen Kuzmic. Draymond Green, Harrison Barnes and Festus Ezeli have been practicing in Las Vegas, but none will play. Ezeli is nursing right shin inflammation after missing the entire season due to right knee surgery. Kerr has mentioned Phil Jackson, Lute Olson, Gregg Popovich and others when describing his coaching style. He’s mentioned wanting a stretch-4. He’s mentioned increasing ball movement. While the players he’s coaching for the next 10 days won’t be nearly as talented as the ones he’ll see come Fall, we’ll get a glimpse into how Kerr will run his new baby. Play design, pace, ball movement, rotations and adjustments should all be looked at closely during these exhibition games. Kerr didn’t have to coach summer league. He could’ve given the job to Alvin Gentry, one of his All-Star assistants who will join him for the foreseeable future on the Warriors sideline. He opted to coach, an admirable move given the expectations heading into his first season with the team. In New York, Kerr would’ve been seen as a success with a playoff berth and some strides on the defensive end. In the Golden State, Kerr is expected to not only make the playoffs but come somewhat close to the 51-win total that Mark Jackson saw last season. He’s said all the right things, talked to his players and vows his readiness to handle the pressure. Believe it or not, that campaign starts in Las Vegas on Friday night. It seems unlikely that Nedovic can come back strong and contribute on a consistent level for a contender, but the least he could do is show he can still play basketball at the level the Warriors expected him to. Even if Nedovic performs, he won’t get minutes ahead of newly signed Shaun Livingston, but his trade value will increase and he can be a potential chip in any future deals (major or minor). Nedovic, in all his 142 minutes of floor time his rookie season, looked nervous, lost and outclassed. It’s not entirely his fault. The Warriors were desperate for some production from the position and were trying anything and everything (See: Kent Bazemore) for any kind of stability behind Stephen Curry. He can jump high and run the floor, but his 20% shooting from the floor is, let’s say, not desirable. Regardless, he has a legitimate shot at making the team, and given his success in the D-League last season — 14.9 PPG, 4.2 APG in 28.5 MPG — there’s hope for a successful NBA career. Whether that career is with the Warriors is still unclear, but given the talent similarities between both summer league and the D-League, it wouldn’t surprise if Nedovic impresses again. The Warriors would certainly love to see it. Those who are unfamiliar with the Kiwi Gardner story need to be. The Bay Area product made waves last season with his performance in the D-League for the Santa Cruz Warriors and has come a long way since his days as simply a YouTube sensation. The 5’7″ Gardner won’t intimidate with his size on the court, but instead with his incredible determination and energy. As with Draymond Green, Kiwi isn’t the most technically sound player on the floor, but it’s with this quirkiness that saw him become a fan favorite in Santa Cruz and contributing member of a successful team. 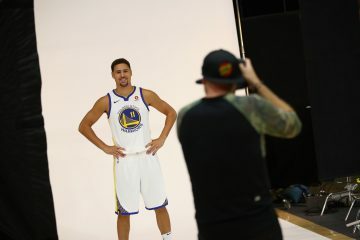 The Oakland product and recent guest on the WarriorsWorld podcast may not be a household name for most Warriors fans, but for those who ventured down to Santa Cruz he certainly was one that caught the eye. He shot 45% from the field last season and could finish around the rim with relative ease given his size. There’s no guarantees in this business, and Kiwi will be the first one to admit that. But it’s in these moments where he’s shown to shine the brightest. 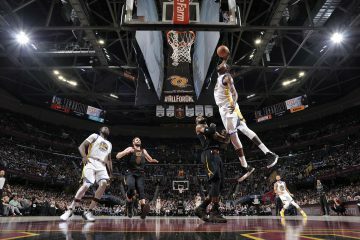 If/when Kiwi plays up to his potential, he assuredly grab attention in Las Vegas and for everyone’s sake, the attention of multiple NBA teams.